Wendy Johnsen is a Central Alberta artist inspired by the mountainous scenery and beautiful parkland vistas that surround her. Her work is sought after by friends, family and strangers alike as it captures and exaggerates the stunning beauty of the Western Canadian landscape. “The marvelous big skies, sunsets, mountains and trees in this part of the country have never ceased to amaze me and have provided endless ideas for my paintings. Putting paintbrush to canvas has always been a way for me to capture the finer details and elusive moments in nature.” Her mother, a watercolor artist, was also a great source of encouragement and inspiration. Wendy’s artist training includes David Goatley’s portrait series in the year 2000. More recent study includes workshops with Nancy O’Toole (2012), Michael O’Toole (2012, 2013) and Mike Svob (2012, 2013). 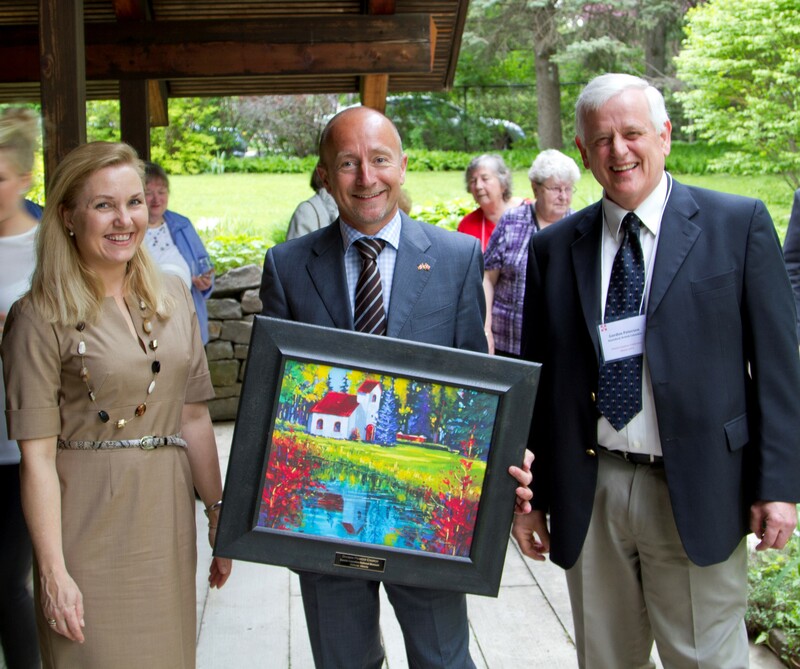 Danish Ambassador to Canada, Niels Boel Abrahamsen with his wife Mrs. Karen Eva Abrahamsen & Gordon Petersen, President of the Danish Canadian National Museum – Giclee print of Dagmar Danish Church presented to the Danish Ambassador to Canada by the Danish Canadian National Museum. Danish Canadian National Museum – Dickson, Ab. 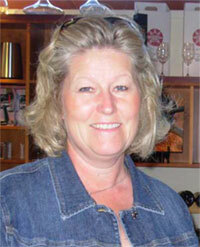 Paintings are also held in numerous private collections throughout Alberta and British Columbia.